A dressing table of my own is something I’ve always dreamed of having since I was a little girl. I used to see them in the movies and in magazines and picture myself sitting in front of the mirror brushing my hair before bed and getting ready in the morning the way the characters did. Unfortunately, I’ve never really had the space for one but that doesn’t mean to say I haven’t already planned exactly what it will look like when I eventually have a bedroom (and budget) big enough to fit one in. It’d be a mix of classic meets contemporary, I think. A traditional white, wooden ‘table’ complete with antique detailing and combine it with a more contemporary wall mirror*, something round with a copper or light pink frame. The main drawer would have to be big enough to house all of my make up and I’d like to have drawers down one side for things like my hairdryer and styling accessories which currently all just sit untidily in a box next to my bed. I’d add a vintage handle like this one form Emily Rose vintage to each drawer and line each one with pretty paper. Atop would sit three glass jars filled with make up brushes and cotton wool and hair pins next to my favourite skincare products along with a bouquet of pink roses in a statement vase and my favourite perfume in one of those decanters you see in the movies. The seat would probably have to steal the show. I quite fancy something a bit luxurious. 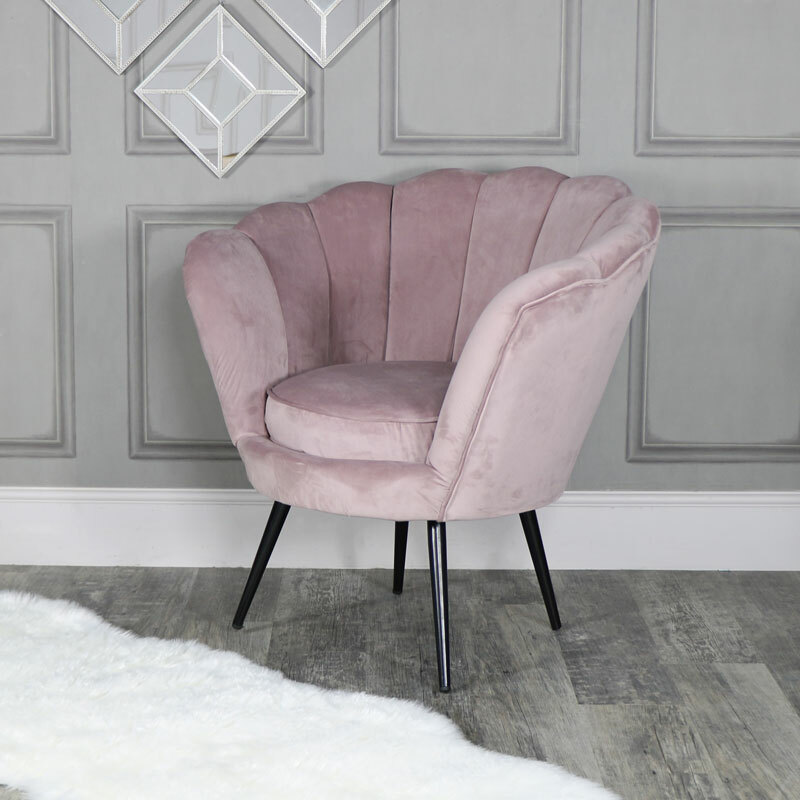 A blush pink armchair style chair like this one on top a fluffy white rug would be just perfect! Do you have a dressing table of dreams or have you, like me, always wanted to have one but never quite had the space? This post is written in collaboration with Cox & Cox.